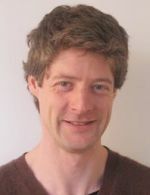 Dr Jon Warren is a Reader in Statistics at Warwick. His research interests lie in probability theory and include stochastic flows, random matrices, and properties of Brownian motion. Office hours: Tuesday 11:30-12:30 and Thursday 11:30-12:30 (term 2 only). Room 4.07 of Mathematical Sciences Building. Minimising the time to a decision (with Saul Jacka and Peter Windridge) Ann. Appl. Probab. Volume 21, Number 5 (2011), 1795-1826. Some Examples of Dynamics for Gelfand Tsetlin patterns (with Peter Windridge) Electronic Journal of Probability Vol.14 (2009), Paper no. 59, pages 1745–1769. Dyson's Brownian motions, intertwining and interlacing. Electronic Journal of Probability, 19 (2007). Dynamics and Endogeny for recursive processes on trees. Stochastics An International Journal of Probability and Stochastic Processes, 78, no 5, (2006).